This design directly replaces all previous versions of both Vitrovex® and Benthos® sphere vacuum fittings, providing a robust design with our unique check-valve feature. 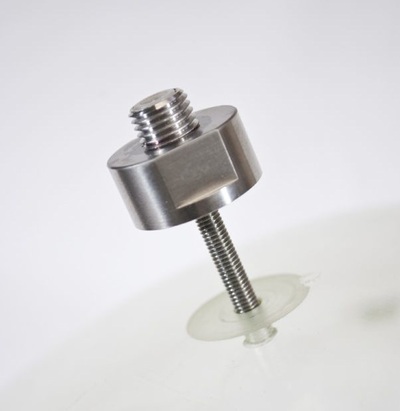 Designed for applications using an existing glass sphere housing of 10-20” OD of any wall thickness up to 23mm from either Benthos or Vitrovex. The purge bodies are made from corrosion resistant and ultra-strong Titanium 6-4 (Grade 5). The threaded shank will retrofit directly into an existing 5mm or #10 CLR hole in a Benthos® of Vitrovex® glass sphere. It’s a little taller than the original, but if you have the room, these have all the helpful features of a Global Ocean Design self-sealing purge port. “Self-sealing” refers to sea level pressure. They still require the placement of the pressure proof cap before deployment, so as a helpful reminder we laser engraved the words “Replace Cap” on the top. All units are laser engraved with a unique serial number, are individually tested to 18,000psi. 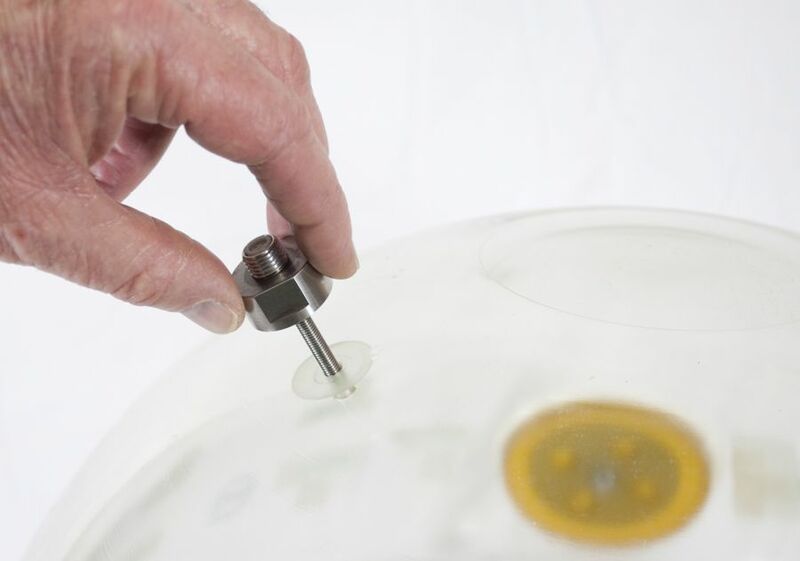 The G-102 requires a clearance 5mm or #10 CLR hole and spotface normally found in either Benthos of Vitrovex glass instrument housings. 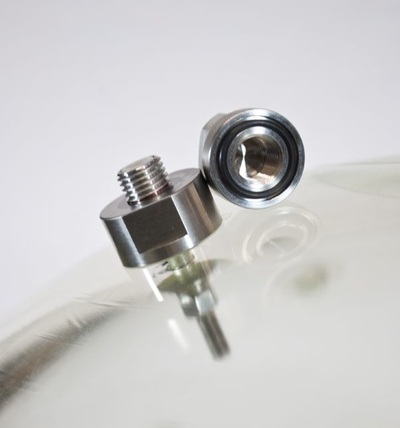 The G-102 is shipped with mounting hardware and a complete set of spare o-rings. 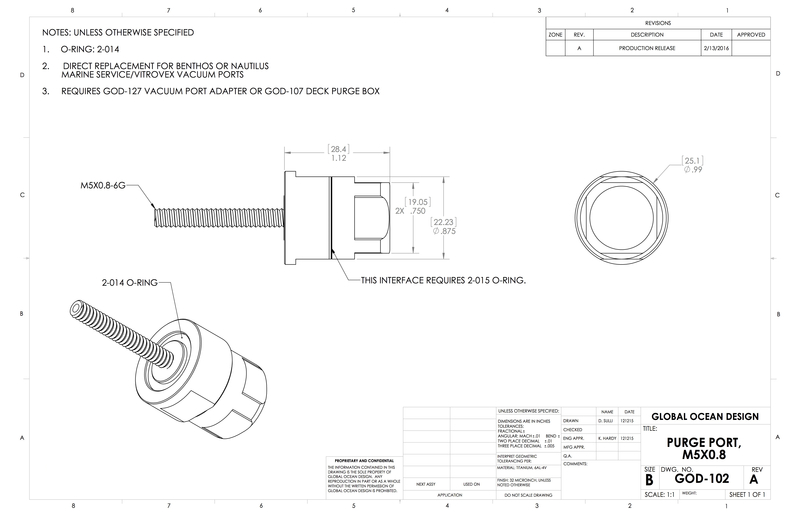 Click here for the G-102 Installation Drawing. We do customs as well. Please contact the factory with your specifications or application requirements.